It’s war in the West Indies, and the shores of New Providence Island have never been bloodier. 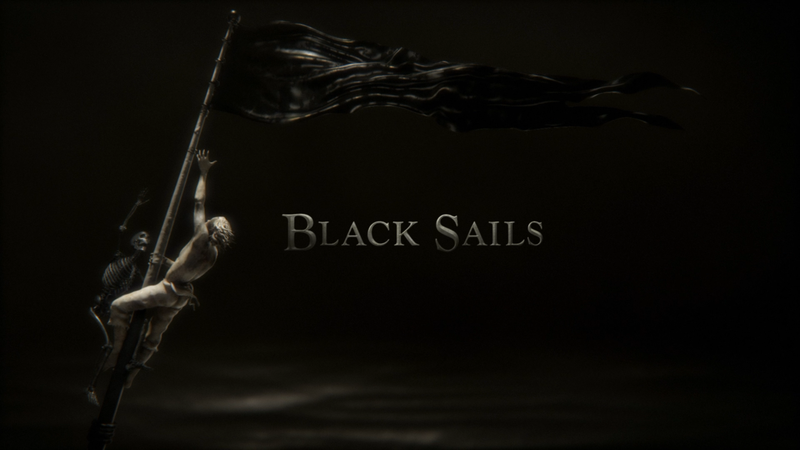 While Eleanor Guthrie (HANNAH NEW) and Woodes Rogers (LUKE ROBERTS) hold Nassau; Captain Flint (TOBY STEPHENS) sails to strike the final blow… and from the interior, an insurgency builds, fueled by the legend of Long John Silver (LUKE ARNOLD). But the closer civilization comes to defeat, the more desperately, and destructively, it will fight back. This 3-disc set, just like the previous season set, is housed in a digipak with a thick slip cover and lenticular front cover. Inside is a slip for with the redemption code for the Digital HD copy. 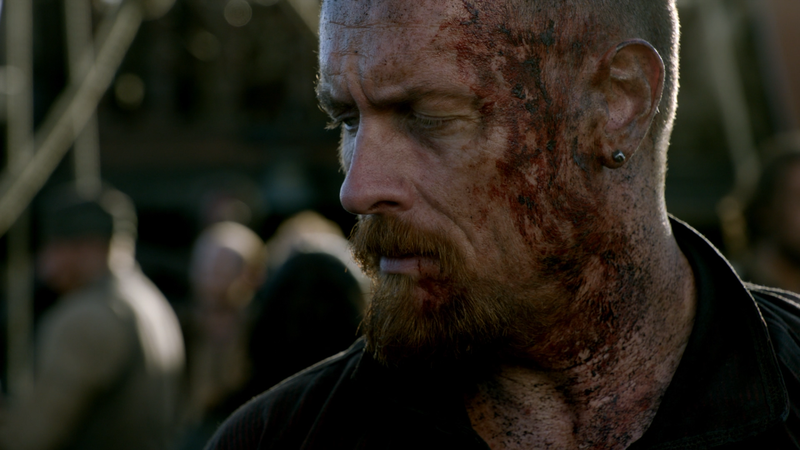 Inside the World of Black Sails (18:10; HD) is a behind-the-scenes featurette for the entire season beginning with the premiere and overall story and character arcs. Creating the World (2:58; HD) is a short featurette on the production design, stunts, and costumes. Roundtable: Women in Piracy (1:53; HD) has the ladies of the cast (Hannah New, Clara Paget, Jessica Parker Kennedy, Zethu Dlomo) discussing their roles. 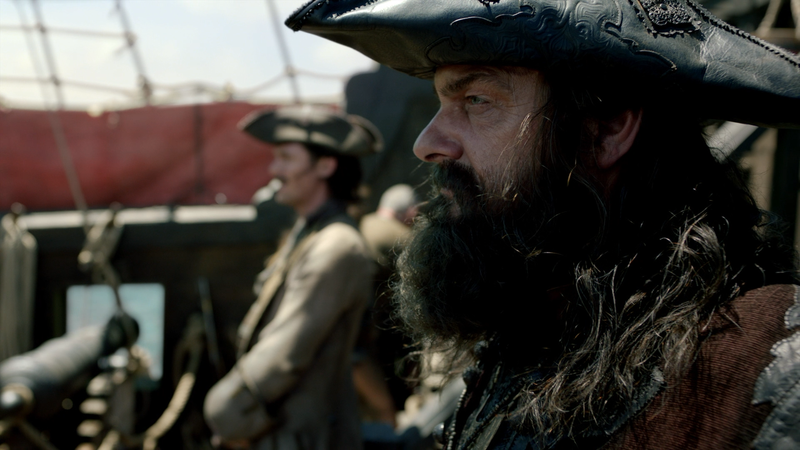 Roundtable: The Legends of Treasure Island (2:03; HD) – Here the men (Toby Stephens, Luke Arnold, Tom Hopper) talk about their respective characters and the basis for them from the classic novel. Roundtable: Fearless Fans (1:18; HD) has the same guys talking about the fandom for the series. 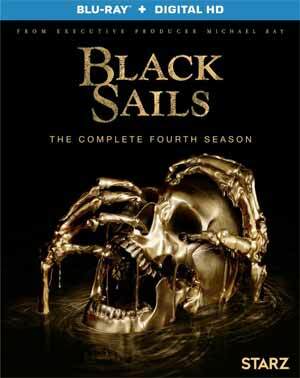 Overall, Black Sails: The Complete Fourth Season is a solid and fine finale for the series that, as in previous seasons, is notable for the performances of Toby Stephens and Hannah New with special acknowledgment to Ray Stevenson as Blackbeard, whose presence is always welcomed. The Blu-ray released by Anchor Bay includes excellent video and audio transfers and an average selection of special features.